Ara Goshgarian has lived in Lake Forest most of his life. He attended Everett School, Deerpath and Lake Forest High School. He then attended Carroll College, The University of Illinois (D.D.S.) and completed his orthodontic specialty program (Loyola University- orthodontic cert.). 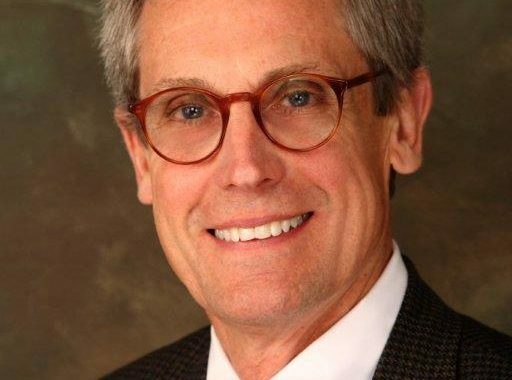 He returned to Lake Forest with his wife and four children to practice orthodontics with his father and has been in the community ever since. His children are currently attending and have attended both D67 & D115 schools. Please join us at one or all of the following scheduled events where you can meet Ara! The Caucus Community Night has been renamed “Volunteers@Heart”. 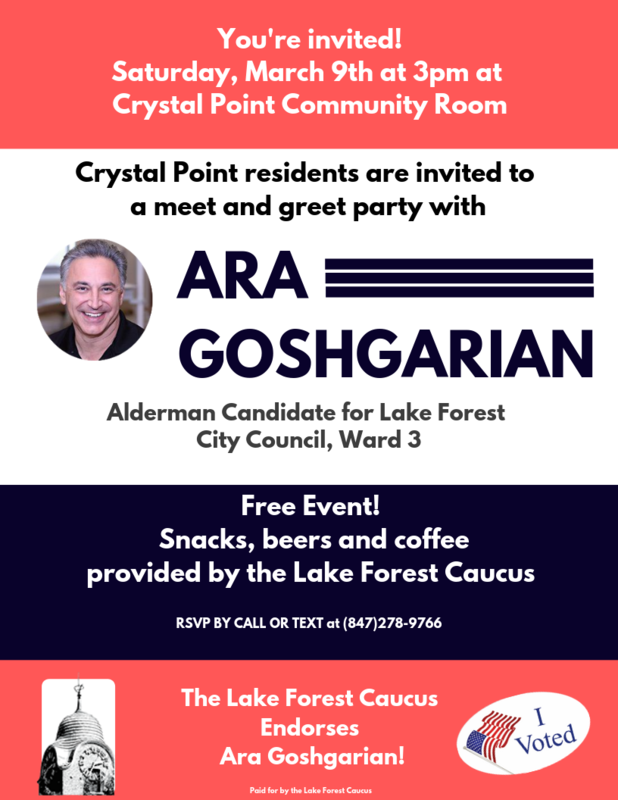 On this night, you will meet and network with our Caucus Candidates, local elected officials and fellow community volunteers who serve on Lake Forest boards and commissions. And, you get do this while strolling among some of the most beautiful and fastest cars on the planet – Ferrari. This is the only formal fundraising event the Caucus hosts each year. Do your part and help support our non-partisan mission to seek and recommend qualified individuals to volunteer to serve on Lake Forest boards and commissions. Your efforts have a direct impact on keeping Lake Forest’s property taxes among the lowest in Lake County. We will be holding an Interim Meeting, which will be open to the entire Caucus, on December 4, 2018 from 7:00 – 7:30 to act on the Caucus Committee’s recommendation of Dewey Winebrenner for District 115 School Board. The Interim Meeting will be held at the Gorton Community Center. Caucus Wine Tasting Event – Thank you! The Lake Forest Caucus Committee would like to thank everyone who came and helped make our wine tasting a great success! Our event was Thursday – September 27, 2018. MaryAnn Redding opened her home to the citizens of Lake Forest who came and enjoyed good company, great stories and really fantastic wine supplied by Sunset Foods. LFHS offers big school programs in a supportive small school environment. We have the fewest number of students of any neighboring north suburban districts. LFHS offers a broad spectrum of specialized programs and teams of professionals, who work in concert in core support teams, to support students’ social/emotional needs. Students have expanded access to academic resource centers staffed by teachers for additional help and support. Whenever they need it and during every school day. Summer school offerings are designed for further support. Bridge courses in Math, English, Science, and Social Studies help students move up to higher level courses. Possesses no personal agenda, but rather shares a sincere interest in working together as a cohesive team to build on LFHS successes for the benefit of the school, students and community. 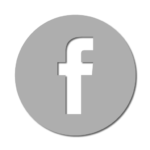 The Lake Forest Caucus provides a weekly communication about the achievements of Lake Forest High School and it’s students. LFHS is a top-performing school based on objective measures. The data supports LFHS as an academically and fiscally sound institution that is engaged in continuous improvement. This is due to D115’s balanced budget and reasonable reserves. Current and past D115 boards have managed the school budget with tremendous skill and expertise. Only 73 school districts in the US that have earned these top bond ratings. Appropriately, D115 was awarded the Illinois State Board of Education’s highest category of financial strength recognition for 2016-2017. It’s clear the current non-partisan board serves the school and community and that the Caucus continues to slate outstanding candidates. The Lake Forest Caucus is providing a weekly series of communications about the recent achievements of Lake Forest High School and our students. 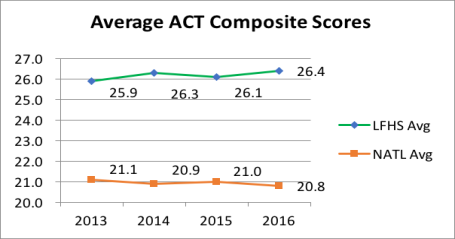 At LFHS, the majority of our students took the ACT in 2016, while the SAT was not required. Only 33 LFHS students reported taking the SAT. LFHS posted a 2016 ACT composite score of 26.4 This is a record ACT score for our top-performing school and surpasses the excellent scores achieved at LFHS over the past several years. This measure includes all students. LFHS at 26.4 is almost 6 points above the national and Illinois averages. LFHS offers 30 AP courses, in many cases offering multiple sections to accommodate rising student demand. In the last three years, the number of LFHS students taking AP tests has increased by 59%. This dramatic growth of AP participation has been fostered by policies that removed prerequisites and restrictions while adding new AP courses, combined with actively encouraging and supporting our students to help them be successful at their highest level of challenge. 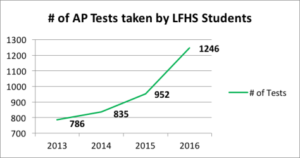 During this surge in AP participation, fully 95% of those taking AP tests have scored 3 or higher (considered a successful outcome). The 2016 national AP average is only 64%, so this highlights how well LFHS graduates stack up against the US college-bound competition. LFHS has been named to The College Board AP District Honor Roll in 2017. Nationally, LFHS is one of only 433 school districts to achieve this. We believe that our schools, which serve our community so well, require outstanding school boards. 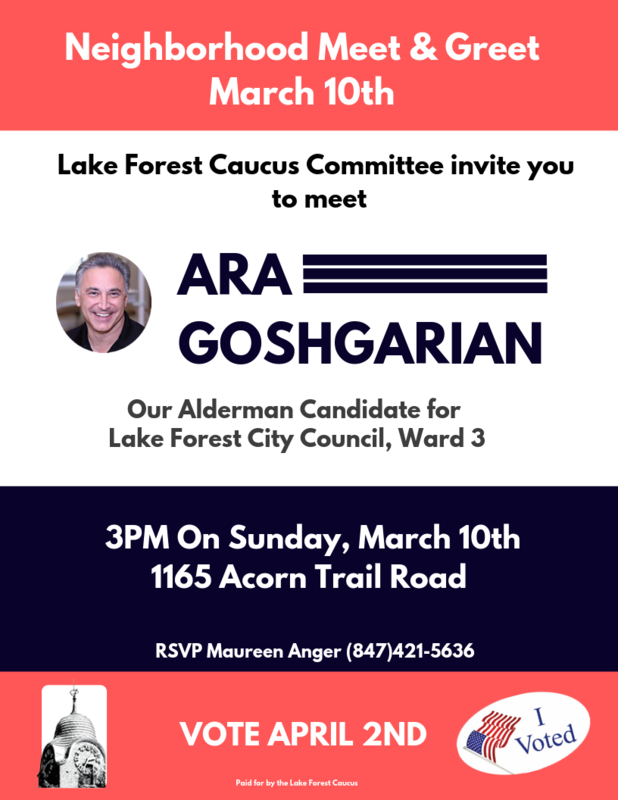 Your Lake Forest Caucus, which is non-partisan, has worked diligently to find, interview, vet and present a slate of outstanding candidates. Advanced degrees are both a measure of the high level of academic qualification of our teachers and an indicator of their years of experience in their field. Research has shown that having an advanced degree in the subject a teacher is teaching can have a positive impact on student achievement. Our teachers and support professionals know our students. At LFHS, students are not a “number” – not simply a test score or a GPA. Having adequate staffing helps to ensure that students get high-quality instruction and the support they need to succeed. Teachers can now share best practices, engage in curriculum mapping, assess and adjust instructional pacing, focus on student learning and growth, and engage in new instructional strategies to enhance student learning.